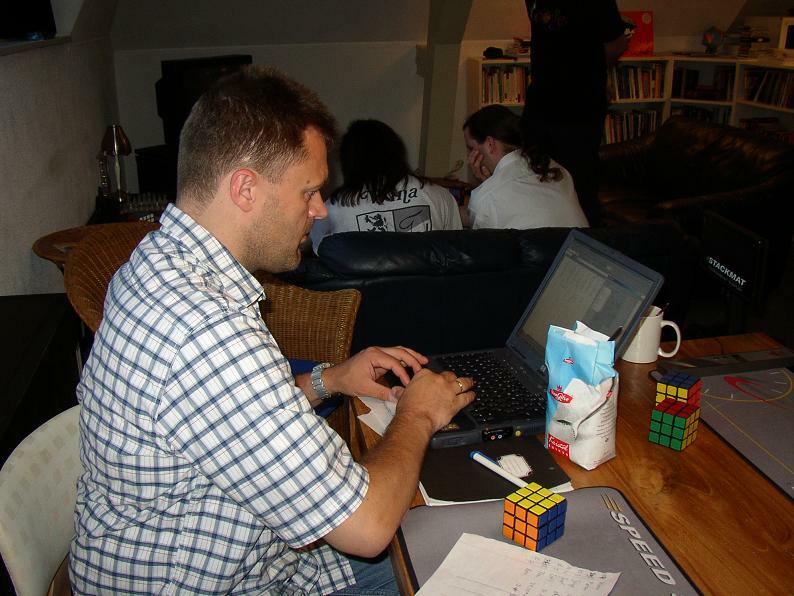 On Saturday July 3, 2004 we had a nice cube meeting in Delft at Jaap Scherphuis's place. It was an informal meeting with Ton Dennenbroek, Peter Jansen, Jaap Scherphuis, Koen Heltzel, Lars Vandenbergh, Joël van Noort and Ron van Bruchem. 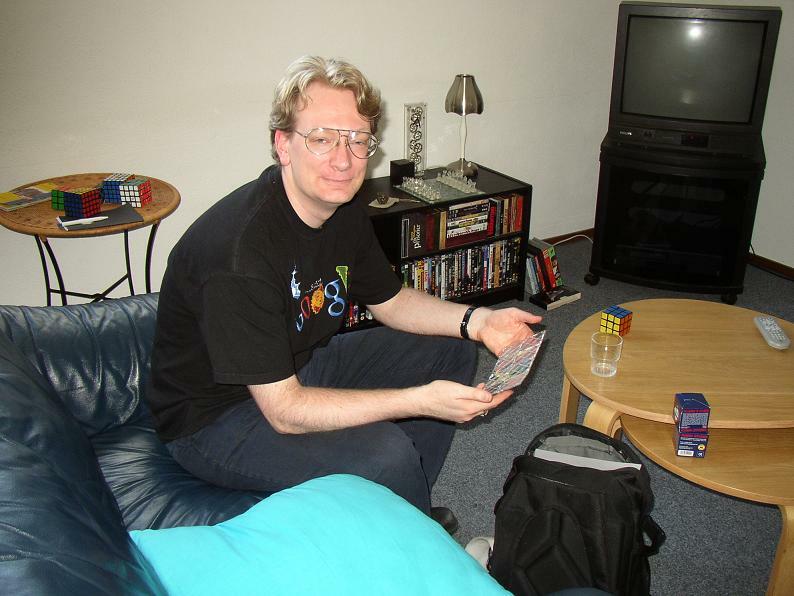 We did a lot of practicing, talking and trying out Jaap's puzzles. 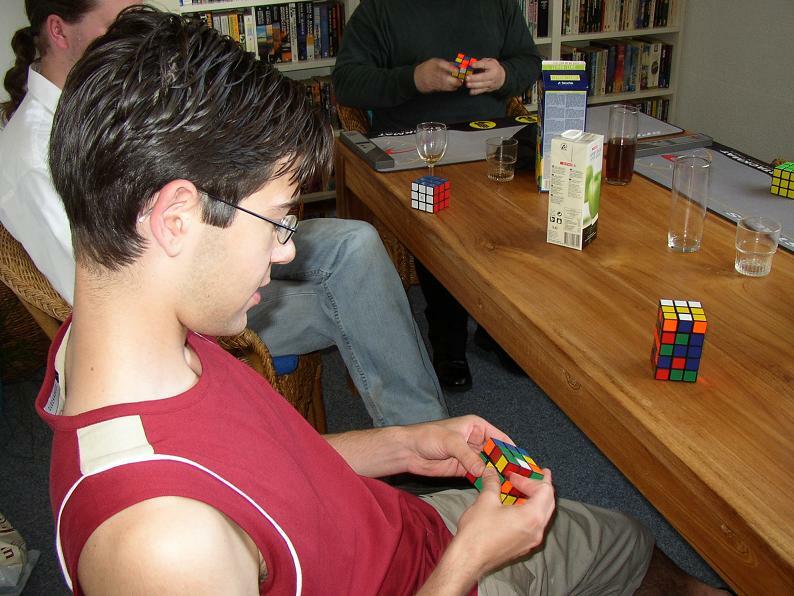 Joël won the handicap competition, where the best cubers had to add a number of seconds to their average. The fastest average was set by Ron with 17.79 seconds and a best time of 16.86 seconds. Lars set the fastest time of 15.30 seconds. Lars was a bit tired because he had received his second degree on friday (party!). Peter, Ton, Joël and Lars practicing. 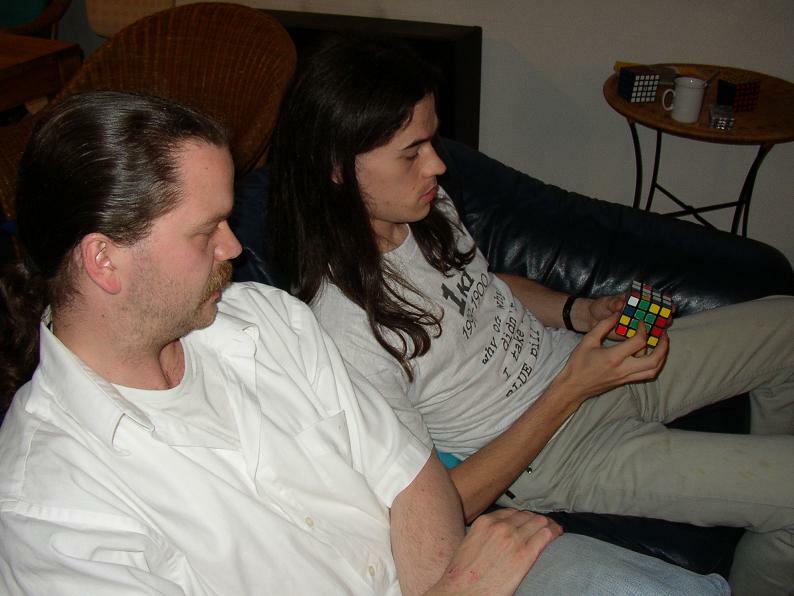 Jaap with his Rubik's Magic, consistently solving under 2 seconds! Joël, who improved very quickly and kept his cool during the competition. Ron preparing the results of the competition. Joël, Jaap and Ton practicing. Lars showing the 6 edge pair system for Revenge to Peter. 2 seconds added for not a complete solve (1 move away): Ton's 1st attempt and Lars's 4th attempt.